Over the last 30 years, the performance, sophistication and operational demands of hydraulic equipment have increased significantly. As a result, planned maintenance and servicing are vital for maximising working life and minimising operating costs. David Atkinson, Service Centre Manager at Leeds-based Oilgear runs through the basics of looking after a hydraulic system. Modern cars are fantastically reliable, but only if they are well serviced and maintained. Similarly, well designed and built hydraulic machines will run for many years, but only if servicing extends beyond the occasional fluid level check! Servicing can be reactive or proactive, but either way it needs to be of a high quality to ensure optimised performance. In fact it is a simple truism that hydraulic system failures are very often down to lack of maintenance – the main cause being lack of fluid cleanliness. Thus the first key to hydraulic performance is maintaining the fluid. Regular (often monthly) checks should be made of copper, silicon and water content, the ISO particulate count, viscosity, additives and oxidation concentration. Minute amounts of metal debris, or dirt ingress, can, over time, damage seats, seals, pistons, bearings and other components. At the time same checks should be made for excessive heat and vibration – simple but effective indicators of system health. Some hydraulic users undertake these checks themselves, but it is often better to have a hydraulic specialist visit site, as they have considerable expertise and experience and their advice will be invaluable. An effective, proactive maintenance program requires time, effort and some expense to implement. 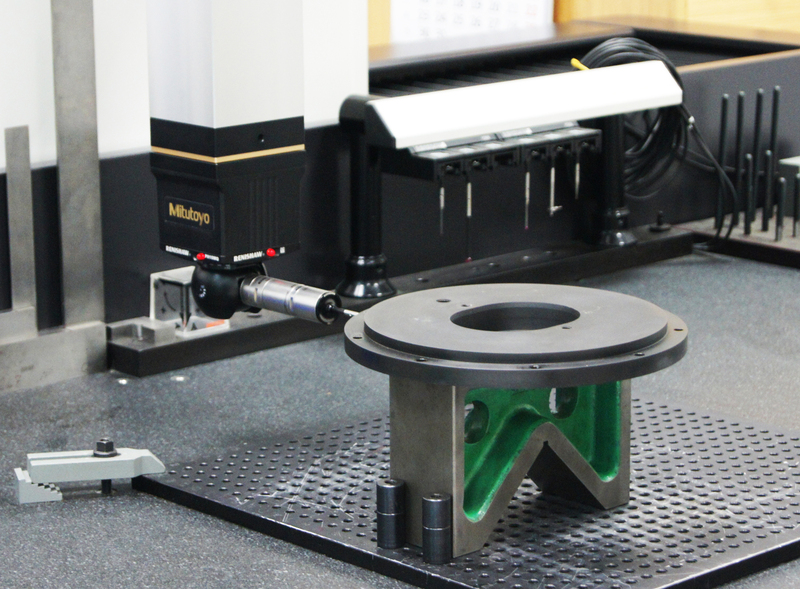 However, it is cost-effective, with the investment quickly recovered through savings as a result of improved machine performance, increased component life, longer fluid life, reduced downtime and fewer repairs. Well made hydraulic components have a long life expectancy (which in some cases can be measured in decades) and first-rate hydraulic companies offer full lifecycle support for their products. For example, there are Oilgear pumps that have been running for over 50 years, while axial piston assemblies tested in-house to 100,000 hours running can show zero wear. Related to servicing, premium hydraulics manufacturers will also offer a repair service for parts that have been damaged. This will include disassembly, inspection, quotation, refurbishment with approved parts, and complete testing. Ultimately there will be a ‘good as new’ guarantee. If and when a failure happens, users need support to quickly arrange repairs or fit replacement parts. A good hydraulics company will carry an extensive inventory of spares for equipment dating back over 20 years or more, so should be able to supply a replacement part (and expertise) promptly. Larger items are often returned to their manufacturer for repair or refurbishment, where they will be stripped down, inspected and an assessment report prepared. From this a full technical quotation for remedial work can be provided and if an item is beyond economical repair, the company should be able to manufacture an ‘as new’ part. When it comes to breakdowns, Oilgear will work around the clock if required - combining a manufacturing department’s quality with a service department’s response. 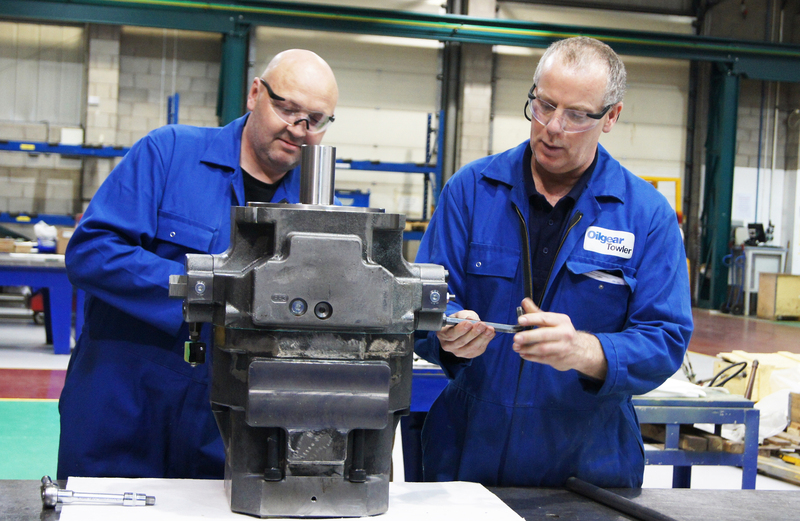 Repaired or replacement parts are assembled and fully tested in-house and may be delivered to site by Oilgear commissioning engineers in a vehicle fully equipped with state-of-the-art flow and pressure monitoring equipment and accumulator charging equipment so that re-installation can be carried out quickly and efficiently. Hydraulics service providers understand that site requirements may change over time, often driven by environmental requirements and legislation, and should work with users to meet these. For instance press operators increasingly want to develop energy efficient ‘power on demand’ capabilities, while other users are looking for water based solutions to reduce fire risks. Oilgear has developed on-demand systems using inverters, softstarts and other complementary technologies and has recently added a new multi-fluid test rig to its suite of testing stations, so can simulate virtually any working system. A hydraulic system’s longevity can depend on good installation and commissioning by experienced engineers. Oilgear can provide such staff, or alternatively run training courses, which can be tailored to suit the individual user’s requirements. In conclusion, modern hydraulic systems are expected to have long, productive working lives and this can be achieved by using high quality components and a strong co-operative relationship with the manufacturer. By working closely together, it is possible to deliver a proactive maintenance routine with the necessary technical expertise to minimise any downtime, thereby improving productivity. Photo 1: Related to servicing, premium hydraulics manufacturers will also offer a repair service for parts that have been damaged. This will include disassembly, inspection, quotation, refurbishment with approved parts, and complete testing. Photo 2: A good hydraulics company will carry an extensive inventory of spares for equipment dating back over 20 years or more, so should be able to supply a replacement part (and expertise) promptly. 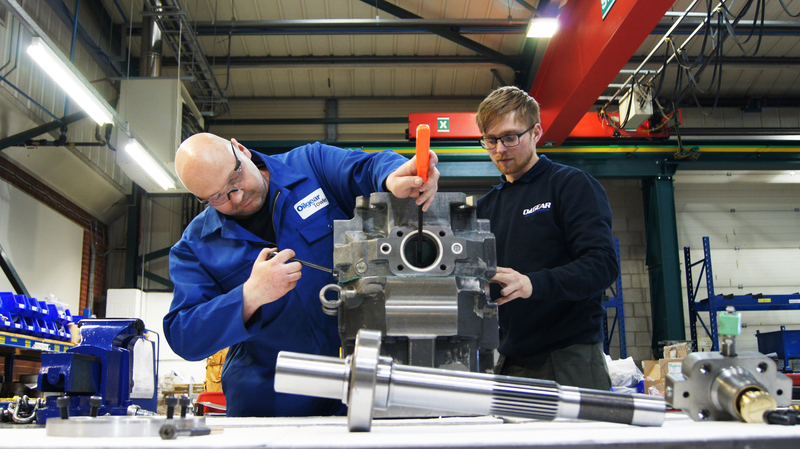 Photo 3: Repaired or replacement parts are assembled and fully tested in-house and may be delivered to site by Oilgear commissioning engineers in a vehicle fully equipped with state-of-the-art flow and pressure monitoring equipment.